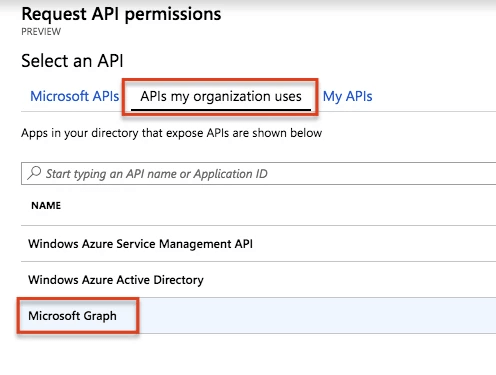 This features is available in Jet Reports 2019 R2 and higher. 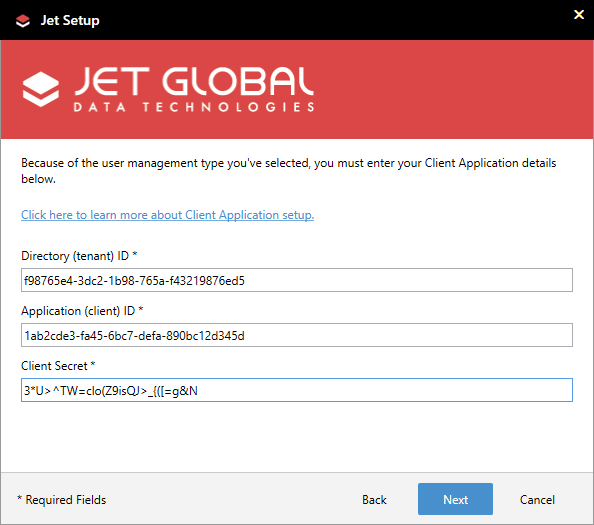 When you first start the Jet Setup program, you will be asked to select the type of user management your organization uses. 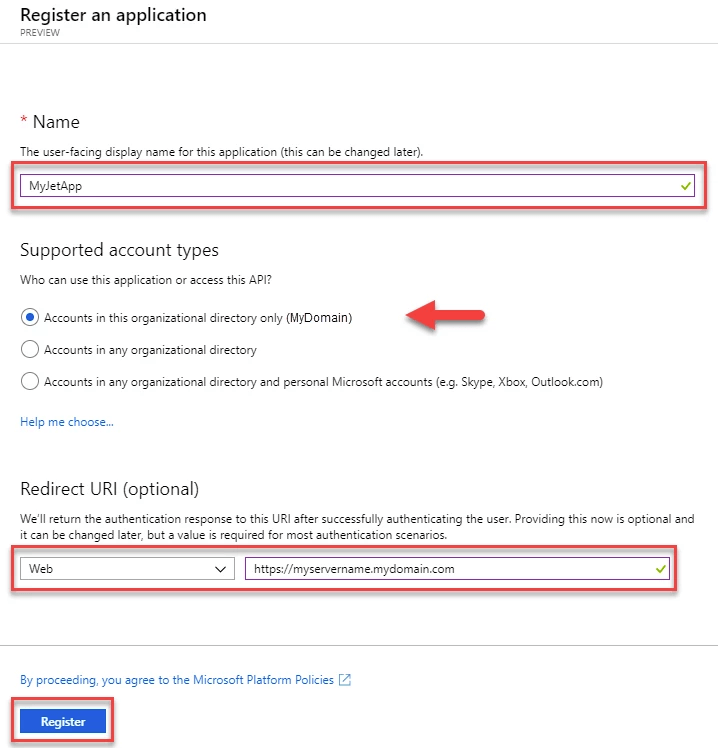 The second option will configure Jet components for use with Azure Active Directory. 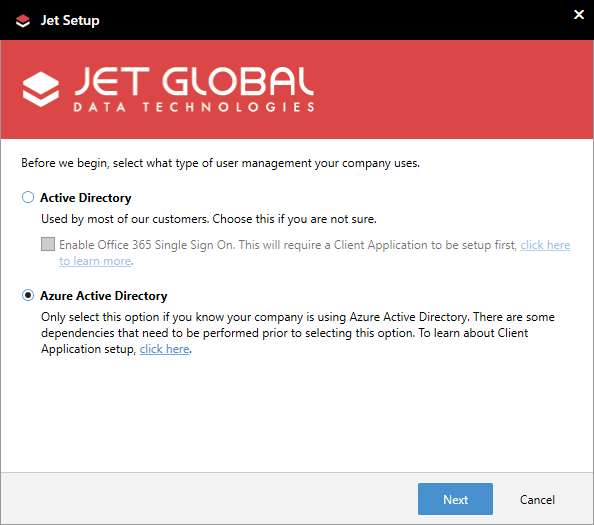 Assuming you have an Azure account for your organization and that you have already created an Azure Active Directory, you can create Microsoft Client Applications that allow you to use Azure Active Directory to manage your users within Jet Products. 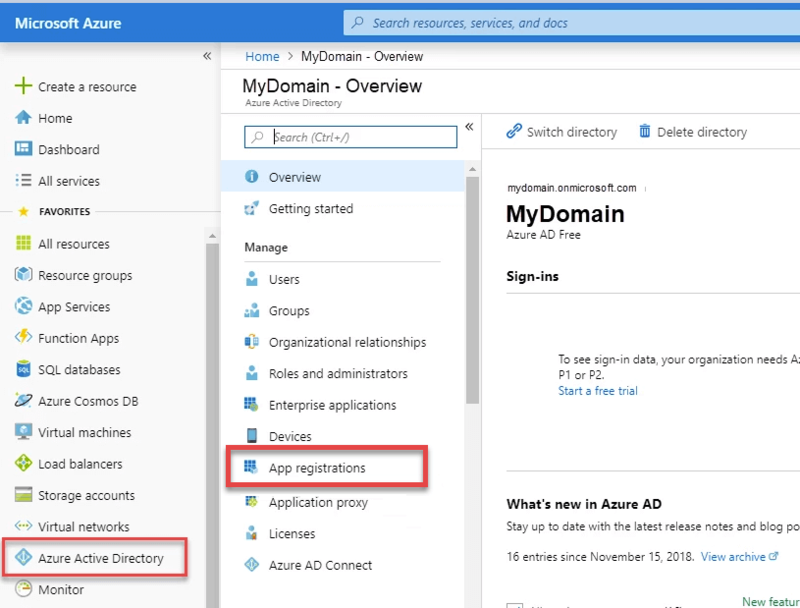 This functionality does not require additional or premium licensing on the part of Azure Active Directory. 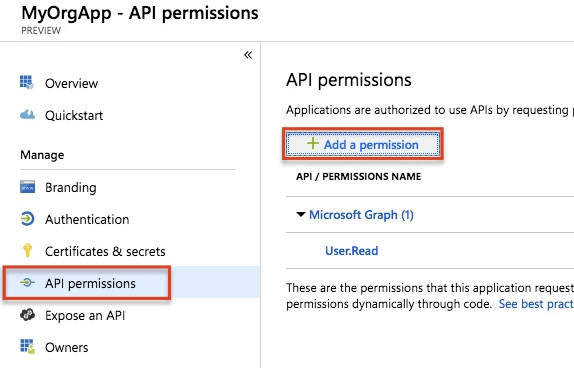 The user logging in does not necessarily need to be an administrator in Azure but admin consent will be needed at a point in this process. 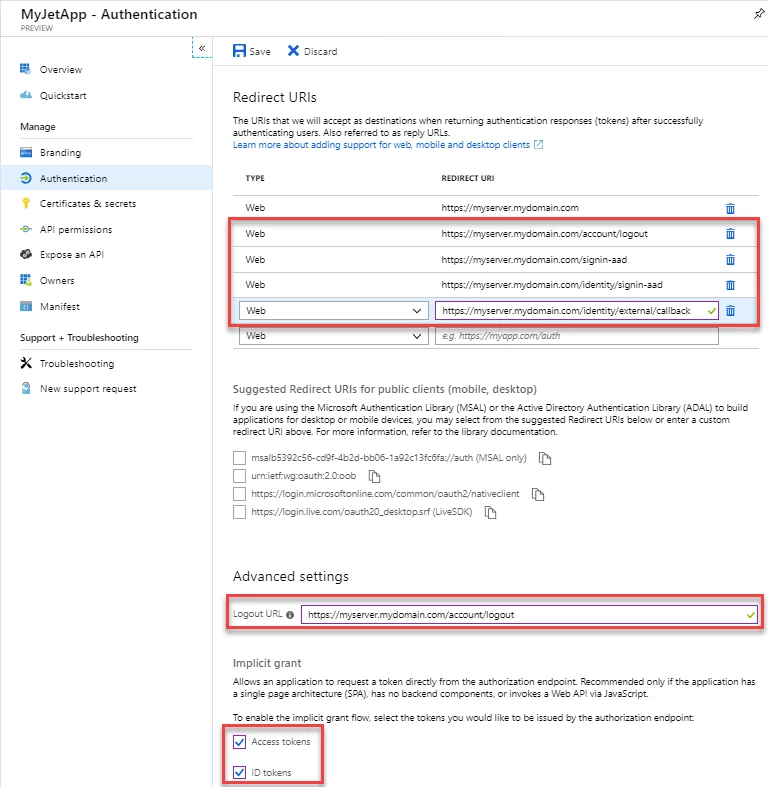 Now that your app is registered, there are additional settings that are needed. First, go to the Authentication page. Add the following additional Redirect URIs of type Web. Replace "<JetHubURL>" with what you specified above for your Jet Hub URL. 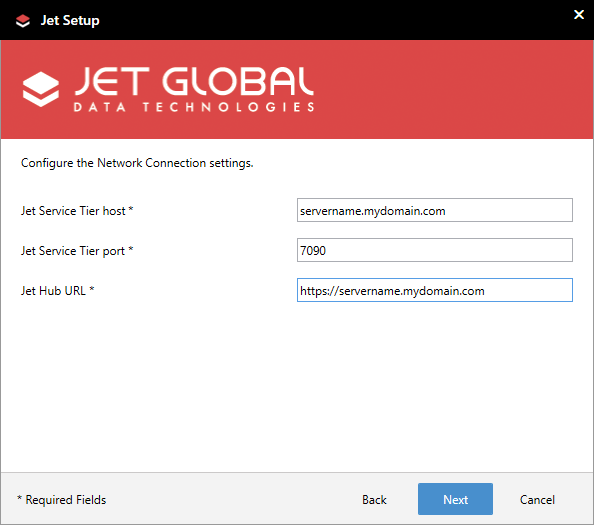 Double-check your entries to insure there are no misspellings as this can cause the Jet Hub web client to not function correctly. 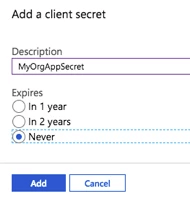 Give your client secret a description, select when it expires, then click 'Add'. Never is recommended for the Jet app expire option. Copy the generated secret value and paste into Notepad (or other text editor) for saving. This will be your only chance to copy it, and it will be required information during the install of Jet Products. If you forget to copy it, you can just create another secret. 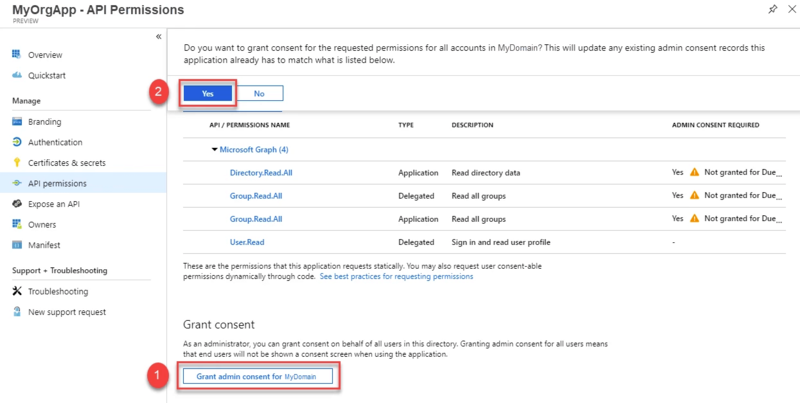 At the bottom of the API Permissions page, click on the Grant admin consent for <DomainName> button. Then, click Yes in the confirmation dialog. 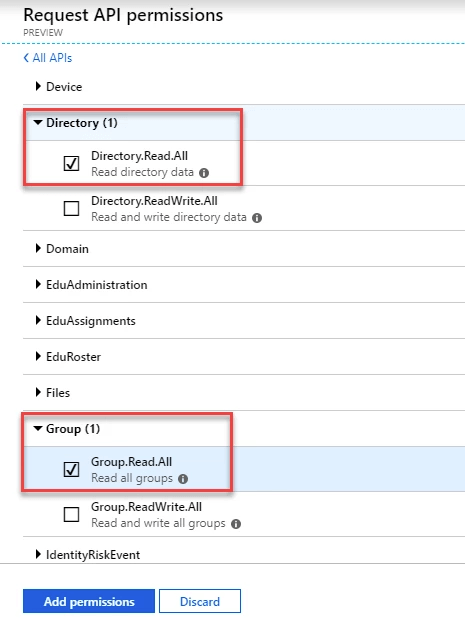 Go to the Overview page and copy the Application (client) ID and the Directory (tenant) ID to your NotePad document. Enter the Client Application details that you saved to Notepad and click Next. 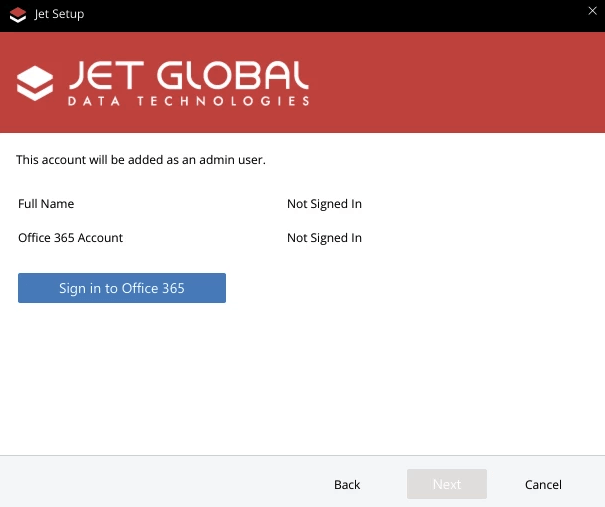 On the Jet Service Tier settings page, sign into an Office 365 account. This will be the first user and administrator in the Jet Service Tier and Jet Hub. Enter the Jet Hub URL (same as from above). Click Next to continue the install.